What is the collective noun for Roman archaeology conferences? Is it a cohort, a century or merely a collection? Fortunately it is not a clash as the three such conferences happen this and next month on separate days and at separate locations. Two are based in our CBA North region, with one of the talks covering sites in our neighbour’s CBA Yorkshire territory. Meanwhile an event within CBA Yorkshire territory also covers topics of our area which we think might be of interest to you. 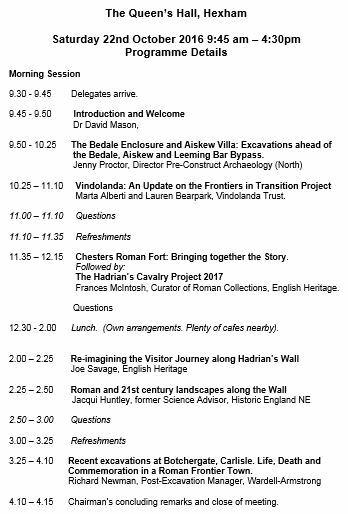 The Romans and Hadrian’s Wall, like it or loathe it, are one of the defining features of our region’s archaeology and here to stay for a bit more it seems. In between those the regular meetings of our own group members also continue on. 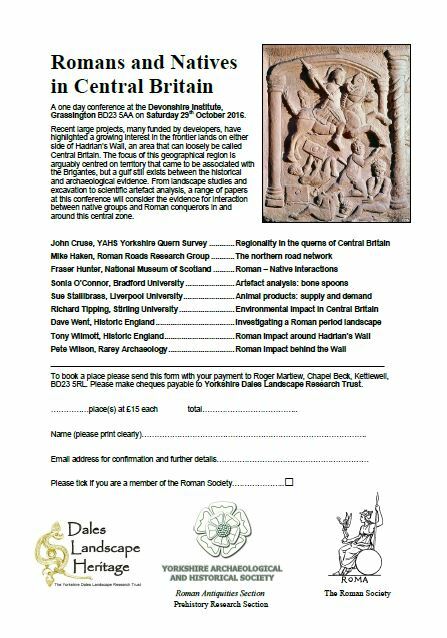 This week talks are on Post-Medieval Derwentcote in County Durham, Medieval Cumbria and a pair of lectures on even earlier Neanderthal hunting. Tickets to the conference are £12.00 and can be obtained from the Queens Hall box office. They can be contacted through the email address boxoffice@queenshall.co.uk or by ringing 01434 652477. Details as to times and venues for all these events can be found in our Local Societies and Groups page of our website. Those fans of Roman small finds, and in particular of dragonesque brooches, who have seen the Dales Landscape Heritage group’s logo above will perhaps think of South Shields for where a similar one has been found. 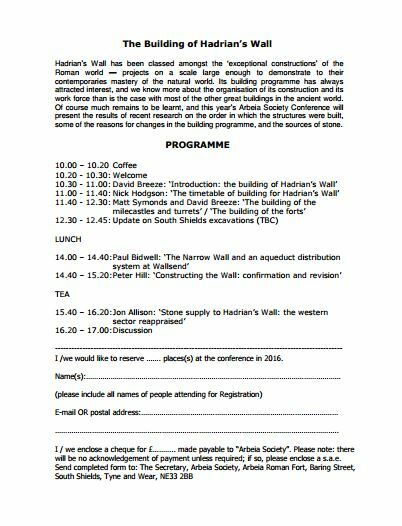 That, as well as being a Roman conference itself, leads us nicely into the announcement – kindly sent to us by Paul Bidwell – of another annual conference, that of The Arbeia Society, whose poster is given below. 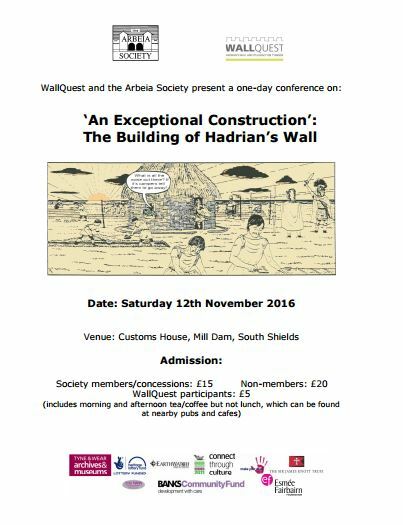 This entry was posted in E Newsletter and tagged Appleby, Arbeia, Archaeology, CCA, conference, Hadrian's Wall, NAG, North Yorkshire, Roman, South Shields on October 11, 2016 by cbanorth.